When it comes to French immersion, the interest is growing larger than the capacity at Winnipeg schools. When it comes to French immersion, the interest is growing larger than the capacity at some Winnipeg schools. 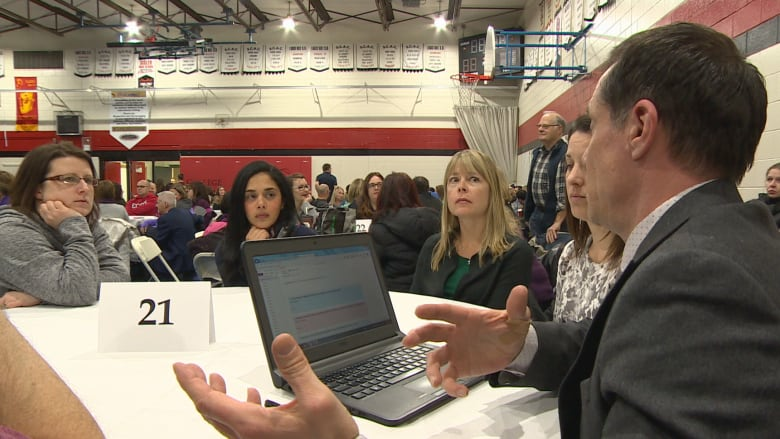 Parents and students packed Collège Béliveau on Monday night to learn about the program's expansion and how the Louis Riel School Division can meet the increasing demand for multilingual programming. 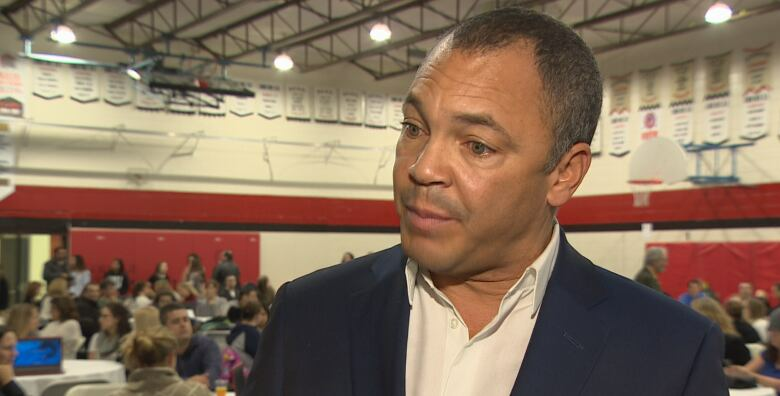 "This particular school, right now, has over 650 students," said Duane Brothers, the superintendent of Louis Riel School Division. "By the year 2020 we are expecting that population in this catchment area to go upwards of 900." Over the past five years, the school division has done a lot of reconfiguring in order to make sure there's a space available for every French immersion student. Brothers said that's an option they are looking at again including extending current kindergarten to Grade 5 schools to Grade 8. Other schools would then become Grade 9 to Grade 12. "There are lots of balls in the air and it's a lot of things that have to kind of progress through different steps to make this happen," Brothers said. He said to deal with the space challenges the school division is also calling on the provincial government to help. "French immersion is very popular in this province. We have had lots of support from government and we believe we will continue to have support from government," he said. About 30 per cent of the division's population is currently doing French immersion, Brothers said. "When we surveyed households in Sage Creek, where we are opening a new school, it was upwards of 40 per cent were indicating they wanted to be French immersion. I just think it's going to continue to grow," he said. As parents sat around tables discussing options for a sustainable French immersion future, there was understanding and frustration. "Not knowing what is going to happen is nerve-wracking in any situation but when you are talking about your child's education and you are talking about some of the advantages and disadvantages there are, it's not great," Laura Barkman said. "It's really nerve-wracking." She has two daughters in French immersion, one in Grade 8 and the other in Grade 5. She said it seems unlikely they will now be in the same school but she remains hopeful. "We are hoping to be heard. We are hoping to have an influence in our child's future," she said. Another meeting will be held on Jan. 25 at Collège Jeanne-Sauvé.